More and more organizations are realizing the impact of delivering applications in an accelerated manner. Many of those that are seeking to do so are leveraging DevOps functions internally and moving towards Continuous Delivery. 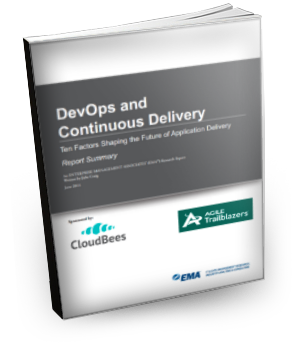 Did you know that 40% of companies practicing Continuous Delivery increased frequency of code delivery by 10% or more in past 12 months?